A bit of doggerel I wrote back in 1963 celebrating our Mediterranean adventure. Thirteen young Americans in the teens and twenties (mostly from California colleges, one amazing Swede and one East Indian), an English Skipper and his pal, Gawain. 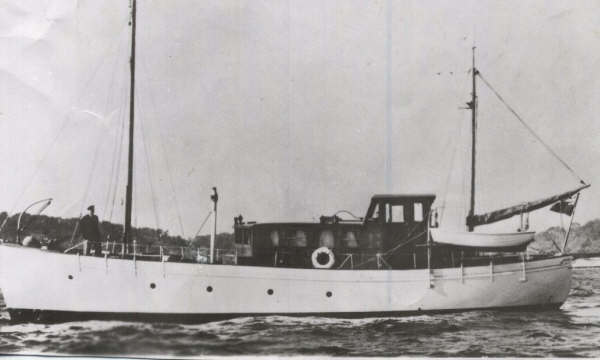 A month aboard The Wigeon of Fearn, Gentleman’s Motor Launch built in 1936 and served in WWII in North Sea for 71st Anti-Submarine Group. Only 6 berths, the rest of us slept on deck. Swam into ports to save docking fees. Voted on whether to move on each day. Visited Cannes, Nice, Portofino, Viarregio, inland by train to Florence and Rome, sailed again from Ostia (Rome’s port) on terrifying 10-hour crossing in mistral storm to Porto Vecchio, then around the tip of Corsica to Bonifacio. Stranded there 5 days by the relentless storm. Tried to sneak two Foreign Legionnaires, who said they had been shanghaied in Marseille, off the island. Even though we failed, they gave us the gift of a beautiful engraved Corsican dagger as a thank you for trying. Corsica never left my mind and now this adventure in part of the back story of MOTHER TONGUE. As now reclines upon our poop. Exchanging vows to never work. Draped on deck twixt bow and stern. To grace the sturdy Wige of Fearn. From lying on the beach all day. These surely are the golden days. To reach our destiny by dawn. The gravest seas we can endure. For always there’s our battle song. And bring, instead of fortune, fame. Upon a high and happy tide. No finer ship has sailed the sea.